Status: offline EDIT: we have rolled out 3 new fixes that we could squueze in before the Desert Storm release, so the patch has been updated to 1.15.2. Status: offline Is there a list of the database additions/corrections somewhere? Status: offline Really great update! The changes to IR sensors, ARH logic and BVR doctrine will massively improve the air warfare! Status: offline Great work, visual detection ambiguity is significant in close-in dogfights. Status: offline We have managed to squeeze 3 more fixes in before the Desert Storm release, so we have rolled out a 1.15.2 update. Change list and links are updated in the opening post. Status: offline Is it my imagination, or did you also make some MORE of the optional SPECIAL FEATURES active? Status: offline My game is telling me I need 1.12 patch that my version is to low?? Yet when I open my game it just version 1.14 build 998.?? Status: offline My auto update will not work. But I've always done manually in past. Yet now patch says above. My version to low. Needs to be up to 1.12?? But again my game shows 1.14 when I launch and play. Status: offline After the 1.15.1 update my game is stuck in gods eye mode. 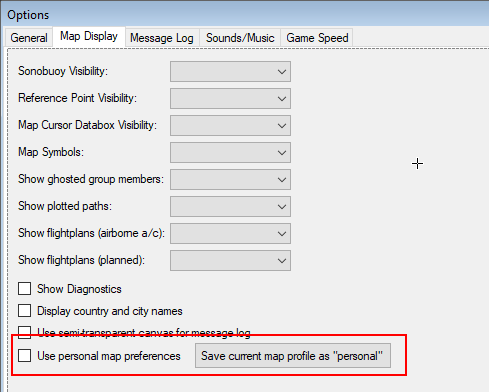 Status: offline The God's Eye fix is simple: Go to Game - Options - Map Display & untick 'Use personal map preference'. That should do the trick. As for the downloads, what's your AV and did you try the FTP link as well as the Members Area link? Status: offline unticking the personal map pref did the trick thanks, got the download in the members area, it was the FTP that wasn't working. Status: offline Solved. Did full reinstall of 1.14.